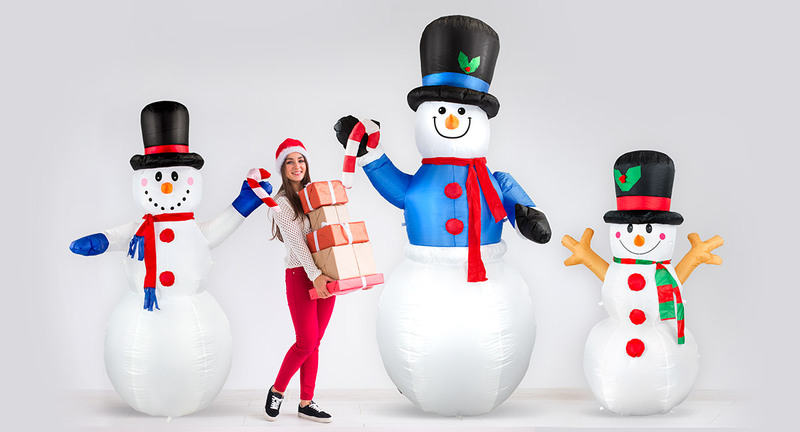 This 7' ft Santa Claus Climbing Christmas Tree and Pulled by Dog Light Up Christmas Inflatable By Comin™ makes an eye-catching outdoor lawn decoration. It's simply the perfect combination between simplicity and bold, with the two complementing each other perfectly. Added on is the wear-proof design, which improves the ability to last. Oh no! Santa is under attack! It seems that Santa Claus is in some trouble while he's on his gift delivering errand. In this comical Christmas inflatable, Santa is chased up a tree by a dog pulling at his pants (psst it's a secret that Santa wears snowflake themed underwear). While fitting the classical Christmas theme with the Santa Claus and the Xmas tree, this holiday decoration puts a funny spin that is sure to gain a few laughs from anyone that passes by. Fast shipping... great quality and doesn't hurt that the price was lower than a lot of inflatables I came across.